This provider is not accepting online appointments currently. Call the doctor's office at (864) 373-7246 to book an appointment. Independent private practice of Dr. Aathi Thiyaga, Harvard fellowship trained and certified by ABMS in the sub specialties of Pain Medicine and Spinal injury. 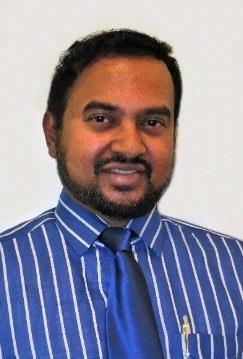 Dr. Thiyaga has treated more than 12K patients since coming to Upstate South Carolina in 2002. Three Offices in Anderson, Easley - Piedmont, Greenville. We are welcoming new patients for comprehensive care with therapies, medications and procedures. Our philosophy is to do the best for the patient. We focus on holistic wellbeing of our patients instead of placing a permanent device or doing a cortisone injection. We practice evidence based medicine that's most economic to the patient. No expensive tests or procedures. Since we are not inside a hospital or affiliated to a hospital, we are able to keep the cost of health care more affordable. Highlights: Unlimited 247 email contact. Responsible staff directed by your caring physician. In-network with most health plans. In-house Procedures and Therapy. Choice of any pharmacy for your medications. Close to home. No unnecessary tests. Online appointments and access to medical records.